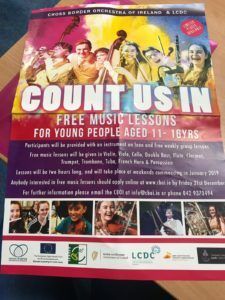 Cross Border Orchestra looking for Participants. 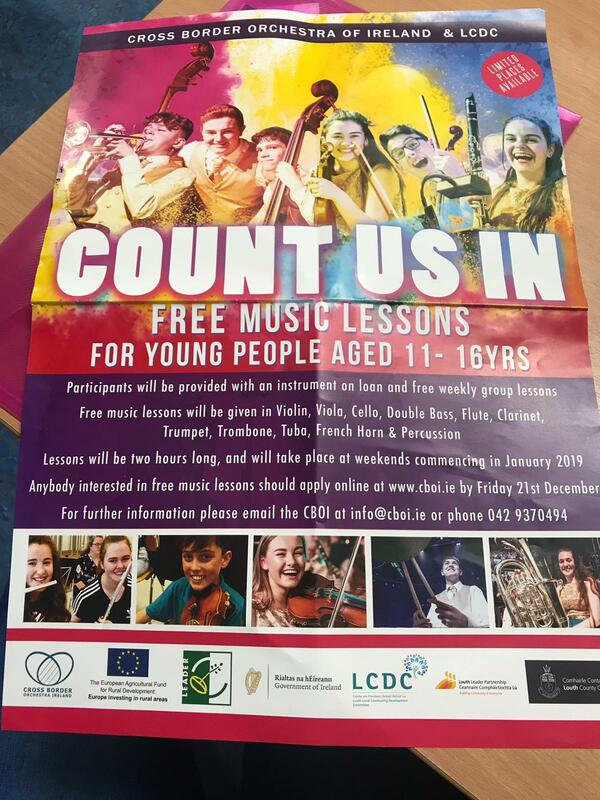 The Cross Border Orchestra are looking for interested students to participate in free lessons. If you are aged 11+ and are interested please check out the attached poster.